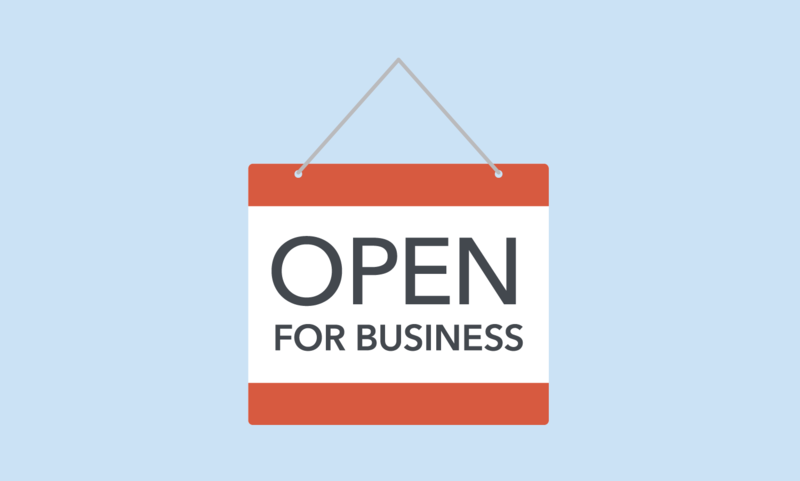 We have issued a Request for Information on the small business lending marketplace. We aim to learn more about how small businesses engage with financial institutions, with a particular focus on women-owned and minority-owned small businesses. Your responses will enhance our current expertise of the small business lending space, and help us as we work to implement our data collection rule. Small businesses, including those owned by women and minorities, are critical engines for economic growth. According to the Census Bureau, there are more than 27.6 million small businesses in the United States. Over 7.9 million of these businesses are minority-owned and over 9.8 million are women-owned. The majority of minority-owned and women-owned firms have revenues below $1 million. Access to financing is a crucial component of their success. To contribute meaningfully to the U.S. economy, small businesses—including women-owned and minority-owned small businesses—need access to credit to smooth out business cash flows and to allow entrepreneurs to take advantage of opportunities for growth. 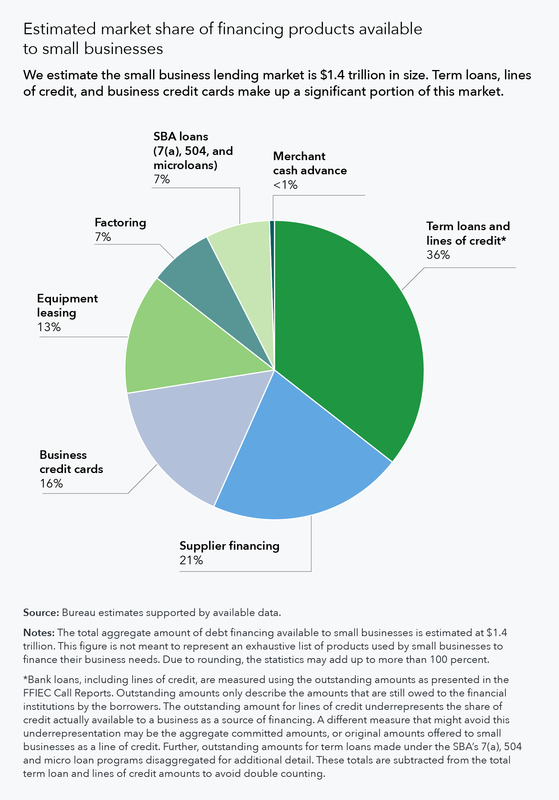 Estimated market share of financing products available to small businesses. We are also issuing a white paper on the key dimensions of the small business lending landscape. Our current understanding of the small business lending environment tells us this market is vast and complex. Small businesses have many different options when it comes to financing products. Using publically available data supported by conversations with industry experts, we estimate the small business financing market is roughly $1.4 trillion in size. Term loans, lines of credit and business credit cards are among the most common financing products offered by financial institutions. In total, these products comprise nearly three-fourths of the marketplace, when excluding supplier financing. However, data on how small businesses engage with credit markets is incomplete. Existing data provides a limited understanding of how financial institutions interact with small businesses. This data provides even less transparency on women-owned and minority-owned small businesses specifically. The Dodd-Frank Wall Street Reform and Consumer Protection Act directed the CFPB to develop a business lending data collection rule, which would improve the general understanding of the small business lending environment. We are in the very early stages of implementing this rule. Currently, we’re focused on outreach and research to develop our understanding of the small business lending market. Today, we’re calling on small businesses, financial institutions, community advocates and other knowledgeable stakeholders to submit comments in response to our Request for Information and share your experiences with us. With your responses, we hope to implement this rule in a manner that is both efficient and minimizes burden on industry. To see and respond to the full range of questions we’re interested in learning more about, please view the Request for Information page. You can read more about our preliminary research on the small business lending market in our white paper.